Premium THC Design quaility #EstateGrown cannabis in a convenient, easy to share Pre-Roll. Each box includes 6 artisanal cones, with a combined weight of 3.5 grams. 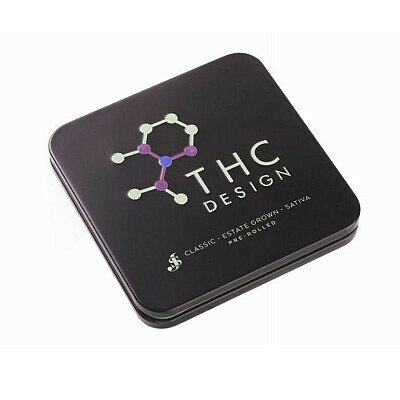 All THC Design products are responsibly grown using sustainable practices and have been independently tested by a 3rd-party labratory to ensure potency, purity, and compliance. Test results are included and all products are packaged with Boveda packs for preservation and humidity control.